Courtney has a Master’s degree in Curriculum & Instruction and a Bachelor's degree in Early Childhood Education from Prairie View A&M University. She is currently a fifth grade English Language Arts/Reading and Social Studies teacher at George Herbert Walker Bush Elementary School. 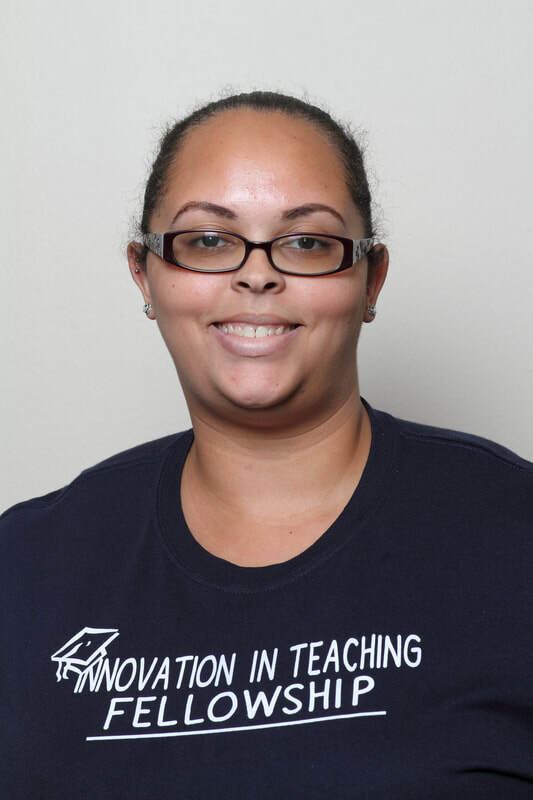 Courtney has taught First Grade and Fifth Grade within her six years of teaching experience. 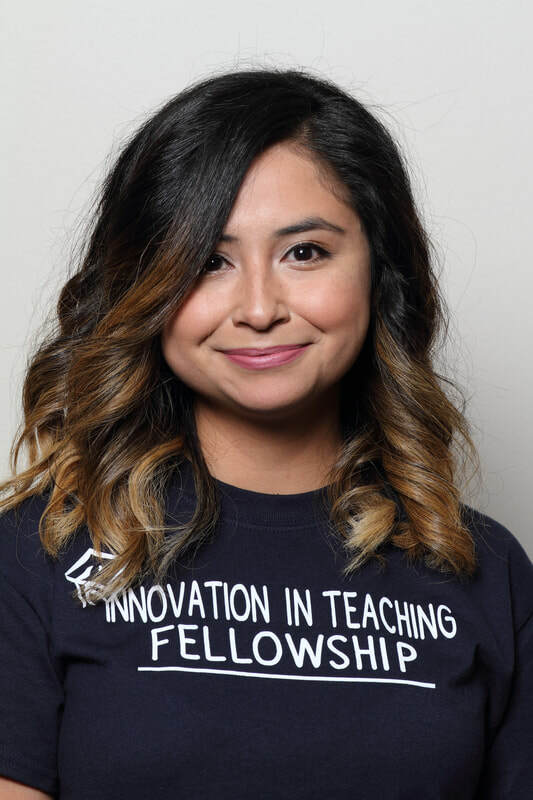 She started her teaching career in Richardson ISD, continued in Irving ISD and has recently moved to Dallas ISD to further her dream of becoming an academic facilitator. 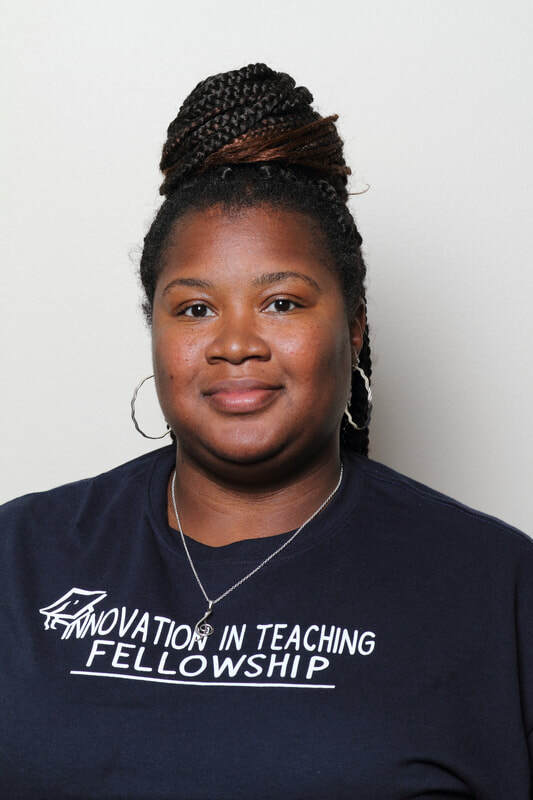 Within her first year in Dallas ISD she received teacher of the year for her campus, presented during W.T.White professional development days, and is an active member of her campus leadership team. 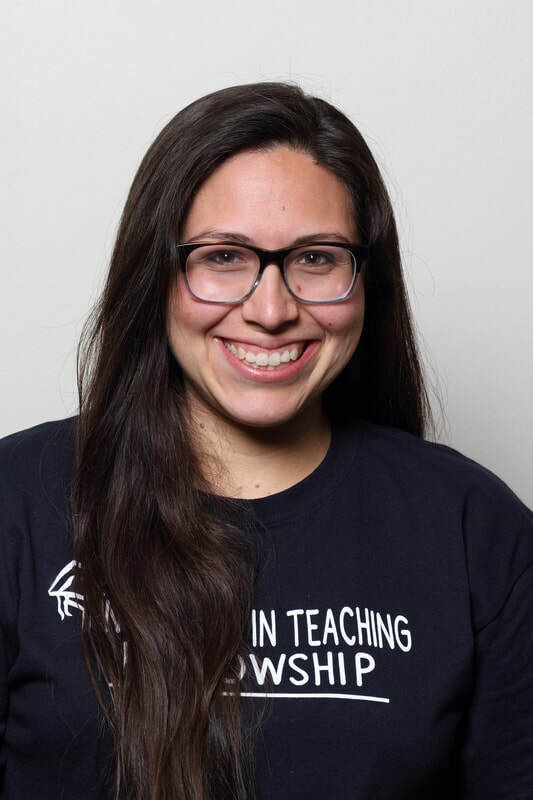 As a fourth generation teacher she is thrilled to call Dallas ISD her home, she is looking forward to collaborating with teachers throughout Dallas ISD in an effort to provide students with the quality education they desire. Brooke Bruton is originally from New Orleans, Louisiana. She attended the University of Arkansas for both Undergraduate and Graduate studies. 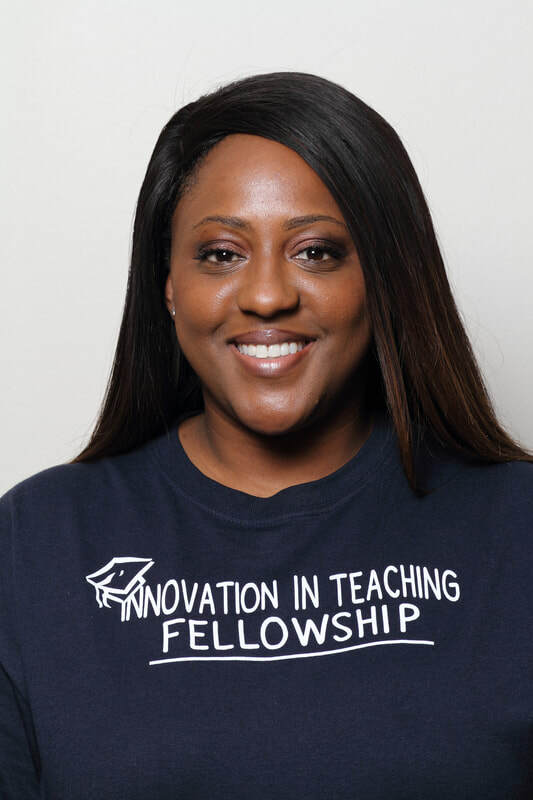 Once she graduated she moved to Dallas, Texas where she began her teaching career at Thelma Richardson Elementary School as a first grade teacher. After three years, she decided it was time to move up to 4th grade. Brooke currently teaches reading, writing and social studies. 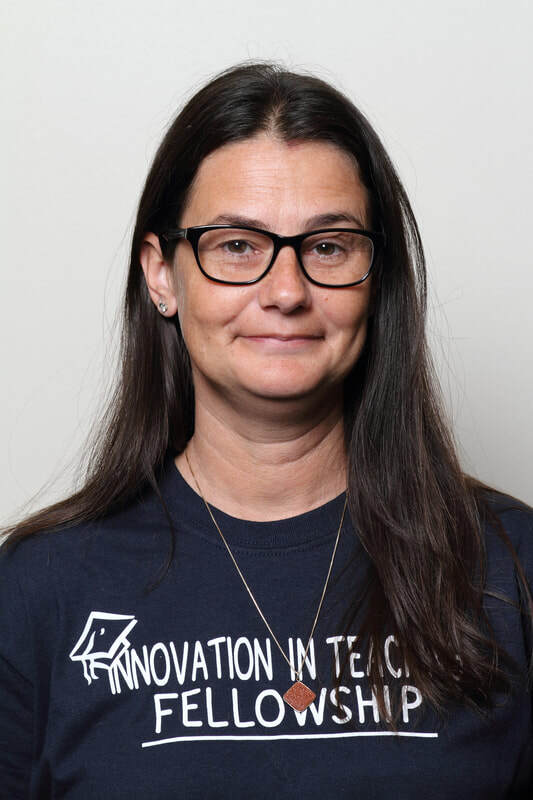 Melanie Carnevale is a second grade teacher and robotics coach at Felix G. Botello Elementary School. She has a B.A. from The University of Scranton in communications with a track in advertising. She began working as a media buyer in NYC at an advertising agency before switching careers to education. She attended graduate school and received both her Masters Degrees from The University of South Florida. One in Elementary Education and one in Special Education with specialization in ESOL and reading. Melanie began her teaching career in Florida as a self-contained SPMH (severe,physical,mental handicap) teacher, then transitioned to resource grades 4-6, specializing in interventions. 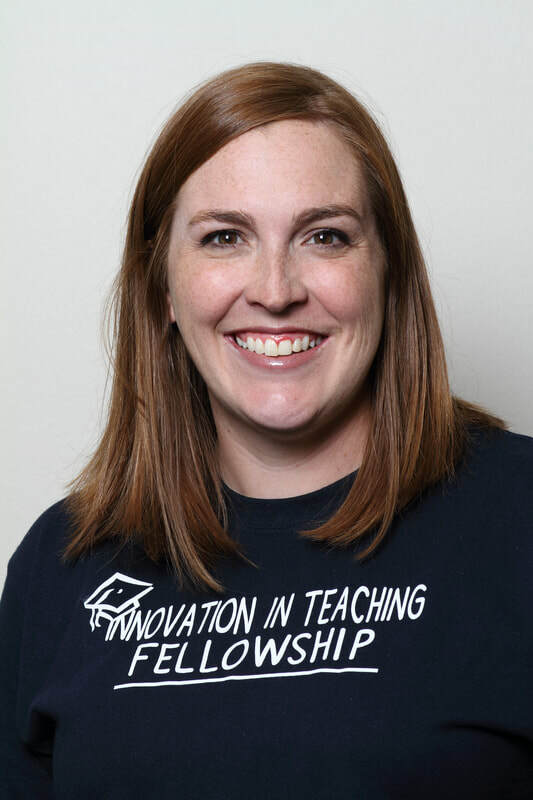 She moved to Dallas, TX in 2013 and made the transition to general education as a third grade teacher. Melanie has taught first grade for the last two years, and is now looping with her students to second grade. 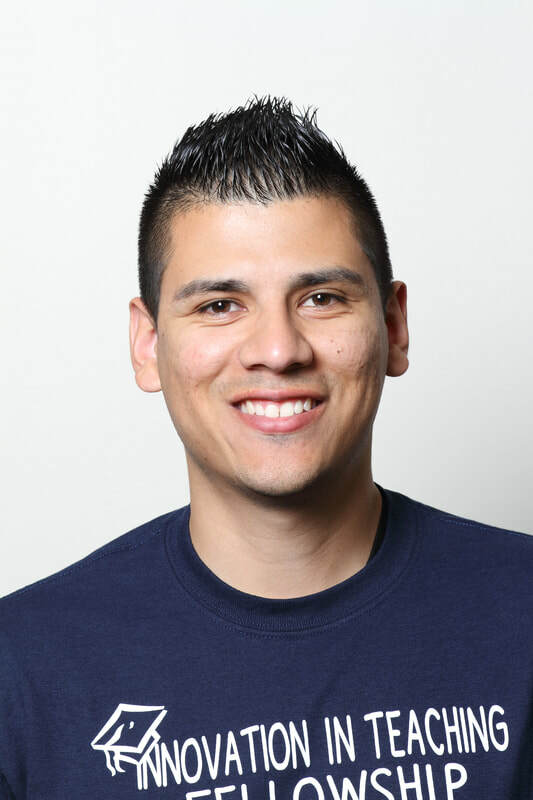 ​Jose teaches chemistry at Bryan Adams High School in Dallas, TX. His passion for science was fueled by many inspirational teachers in Dallas ISD as well as his professors and advisors at Texas A&M University. After getting a Bachelor’s of Science in Chemistry, he worked on a Ph.D in Chemistry where he discovered a joy in teaching. He began his teaching career in 2013 as an 8th grade science teacher before moving to high school chemistry in 2014. He strives to make sure that all students have access to a hands-on science learning experience. In 2016, he was awarded the Texas Instruments Innovations in STEM Teaching Award. During the summer he proudly works as a Lead Counselor for the Texas High School Aerospace Scholars program at NASA Johnson Space Center where he gets to teach students about space exploration in a purely project based learning atmosphere. ​Angeles is currently part of the Third-Grade team at Jose May Elementary. She aspires to become an effective educator and encourage a growth mindset in students. Students in her classroom experience challenges, make mistakes, understand the value of effort, and appreciate the rewards of success on a daily basis. In order to be more prepared and resourceful at her job she looks for opportunities to improve and evolve. She earned her bachelor degree in Visual Arts from the Interamerican University of Puerto Rico. 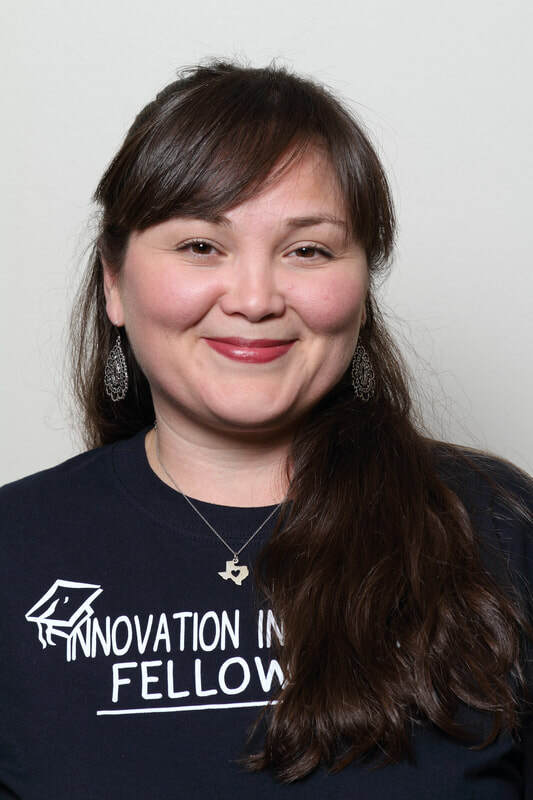 She completed a master’s degree in Bilingual Education from the Southern Methodist University and a year with the Ed Fellow Program. She has served 10 years in education and looks forward to implement personalized learning in her classroom. ​Dalila is a second grade bilingual mathematics and science teacher at Martha Turner Reilly Elementary. She has previously taught third grade science and social studies. This experience has helped to shape her goal of easing the transition for her students in to the upper grades. Her previous work experience in customer service has helped her immensely in terms of communication and multi-tasking. She is a graduate of the Dallas Independent School District and alumna of the University of North Texas. She is also immensely proud to be teaching in the same neighborhood she grew up in. ​TuLisha is originally from Saginaw, MI. She is currently a fifth grade math teacher at Charles A. Gill Elementary School. This school year marks her 16th year as an educator. 14 years of her teaching career was spent in Beecher Community School District located in Flint MI. 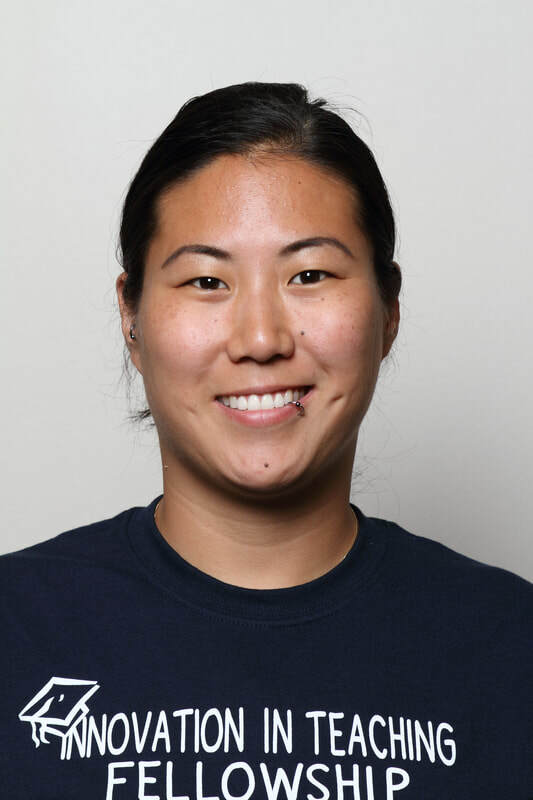 She has worked hard to earn Master’s degrees in Elementary Reading and Mathematics, Mathematics, and Curriculum and Instruction. She works hard to build relationships with her students and their families. She believes that learning should be fun and life-long. ​Matthew has been in education for nine years with 2017-2018 being his fifth as a classroom teacher. He is privileged to be at Jose "Joe" May Elementary teaching 5th grade Math and Science. Matthew has a Bachelor of Arts in Psychology and Political Science from Iowa State University, and a Master of Arts in Education from National University. He believes that with a safe and purposeful learning environment, every student can be given the tools to succeed. Matthew also coaches UIL/TMSCA Number Sense teams, and VEXIQ robotics. When Matthew isn’t preparing for and teaching his wonderful 5th grade students, he loves spending time with his beautiful wife of 10 years, Melissa, his 2 boys, William and Ephraim, and his pets, Gambit (pug), JeanGrey (cat), and Maverick (class pet bearded dragon). He is also learning Spanish through the Duolingo app, and working on his 1949 Ford Truck. ​Heather is a Fifth Grade Science Teacher at Rosemont Elementary. Heather received her Bachelors of Science in Interdisciplinary Studies from the University of Texas in Arlington in 2008. Prior to teaching she worked as a Cytology and Histology Technician at Methodist Hospital which contributed to her fascination with science. She decided to go back to school to get her teaching degree after a short time off work. Heather started her tenth year at Rosemont Elementary this fall. Outside of school Heather has been married for 22 years and is raising five children. All of her children have or are still attending Rosemont Elementary. She has a daughter that is 21 at the University of North Texas, a senior at Booker T, an Eighth grader at Dealey International academy, and a kindergartener and Pre-k student currently attending Rosemont Elementary. ​Deneice dreamed of being a teacher. As a little girl, she would line up her stuffed animals and play school. Her dream became reality in 1995 when she got her first job. 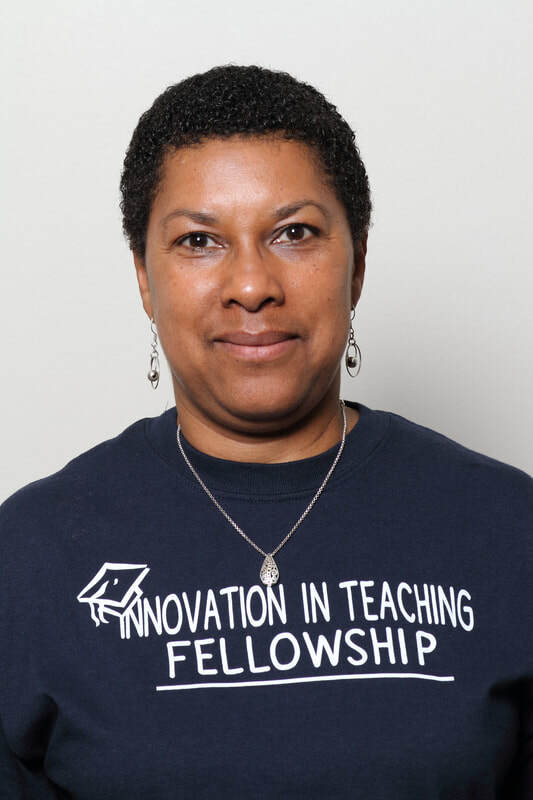 Deneice has been teaching for 22 years in Dallas ISD. She started at Edward Titche Elementary, moved to San Jacinto Elementary and then to Nathaniel Hawthorne Elementary. She taught every grade from first to fifth (math and science). She recently went back to school for her masters in educational technology with an emphasis in library science. She has been blessed to find a librarian position for the 2017-2018 school year at John Ireland Elementary. In addition to being a teacher, I am a "helicopter" mom to a beautiful talented 20 year daughter. ​Kaitlyn is a second grade teacher in the two-way dual language program at Withers Elementary School. 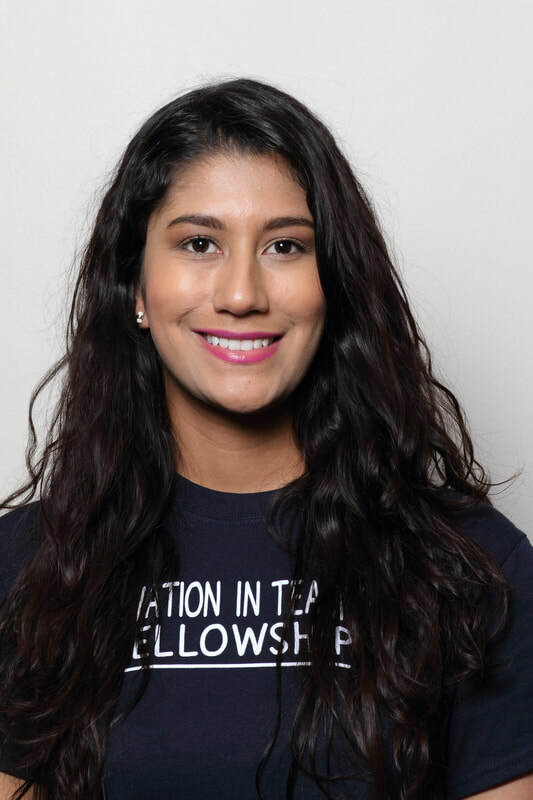 After graduating from Southern Methodist University with a double major in Psychology and Markets and Cultures, she found her true passion in education. She earned her Masters in Education and certification from Southern Methodist University in 2011. After completing her student teaching at Withers, she was able to stay on as a permanent teacher. 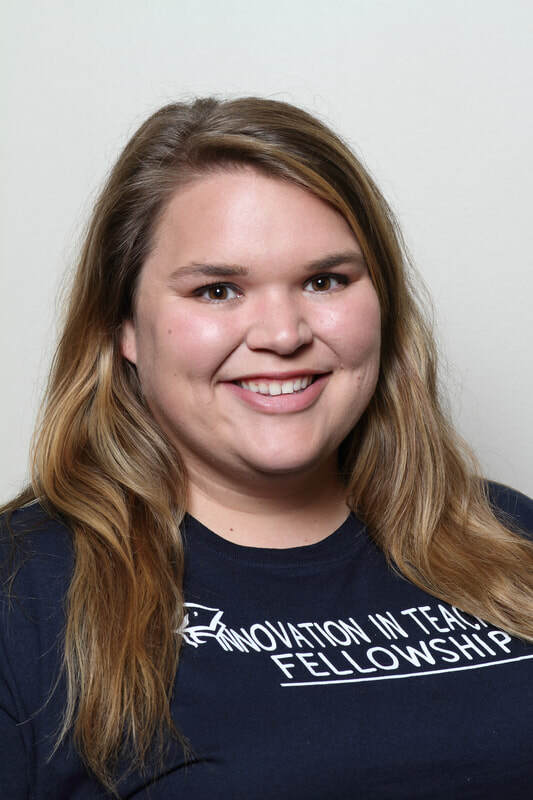 Kaitlyn loves teaching in the two-way dual language program, and has enjoyed being the team leader of a fantastic second grade team for the past six years. ​Amanda is a Pre-AP English I and AP Literature and Composition teacher at Bryan Adams High School Leadership Academy in East Dallas. She earned an M.A. in English from the University of Texas at Tyler and holds a B.A. in English Language Arts and Secondary Education from the University of North Texas. While this will be her 4th year with Dallas ISD, she is beginning her 8th year of teaching. Veasna is in her 13th year in education at Nathaniel Hawthorne Elementary. She is currently a 4th grade math teacher, robotics, and coding sponsor. While at UTA, she earned her bachelor's in Psychology and Biology. Her teaching journey began when Veasna went abroad to volunteer in a Cambodian orphanage. Currently, she is EC-4 and ESL certified. 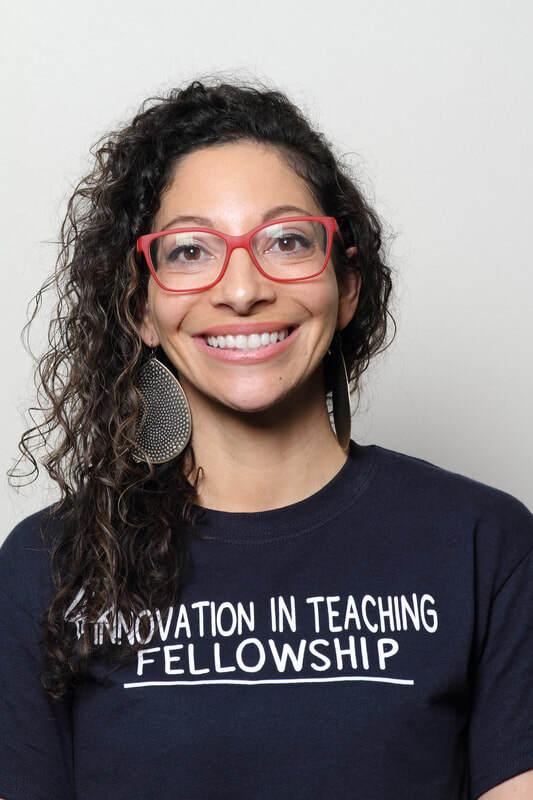 Teaching encapsulates everything Veasna loves to do: building relationships with youth, implementing creative teaching methods, collaborating with colleagues, and enjoying summer vacation! Weslyn has lived all over the world and had the wonderful opportunity to teach at the Department of Defense schools in Germany and Italy, as well as many school districts here in the United States. 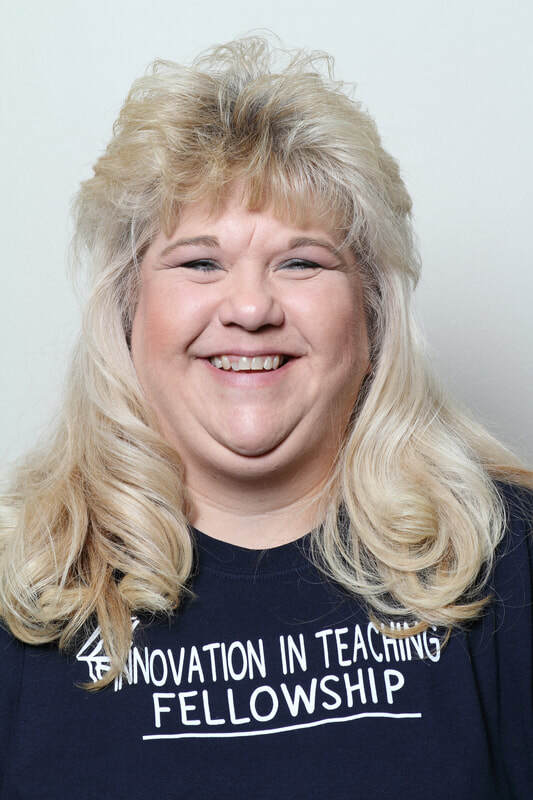 Weslyn has been teaching for more than 20 years and has experience in grades K-8. She earned her degree in Elementary Education from the University of Northern Colorado. Weslyn is a Disney Teacher of the Year nominee and the 2017-2018 Teacher of the Year at Withers Elementary School. This is her second year teaching in Dallas ISD. Laura earned her B.S. in Interdisciplinary Studies from Texas Woman’s University and currently has her Special Education and ESL certifications for elementary education. Laura began her career during the 2014 school year as a fifth grade reading and language arts teacher. 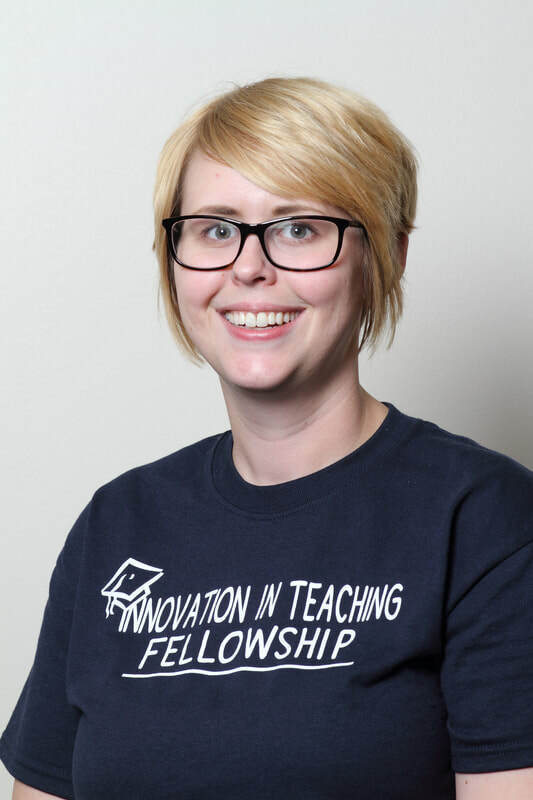 Currently in her fourth year of teaching, Laura is ready to take on new challenges and broaden her skills as a teacher through the Innovation in Teaching Fellowship. Jennifer earned a B.A. in Interdisciplinary Studies with an EC-6 Bilingual Generalist Certification from the University of North Texas Dallas Campus. She is a proud daughter of Mexican immigrant parents who have instilled in her the importance of hard-work and dedication. It is that drive that pushes her to believe that she can make a difference in each student's life. She plans on going back to school very soon and earn a Master's in Early Childhood Education. 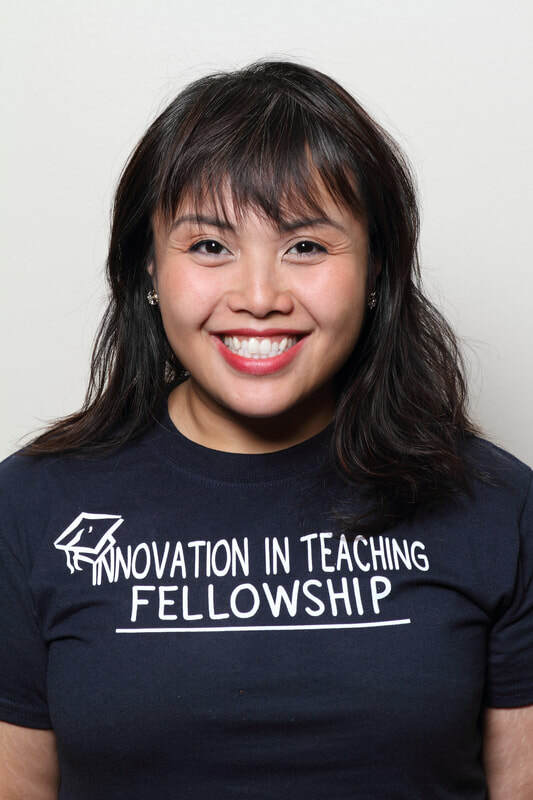 Currently in her third year of teaching, Jennifer is ready to take on new challenges as a teacher through the Innovation in Teaching Fellowship. Carmen is a native of Dallas, Texas and attended Dallas ISD schools. She has worked as a bilingual and dual language classroom teacher at DeGolyer Elementary School. Her love of working with children began in high school as a Sunday school teacher. She holds a B.S. in Nursing from U.T. Arlington. Upon completion of the Dallas ISD Alternative Certification Program, she is certified in bilingual, special and elementary education. Pesina has worked with bilingual, dual-language and general education students in third grade and kindergarten and will move to second grade in the fall of 2017. 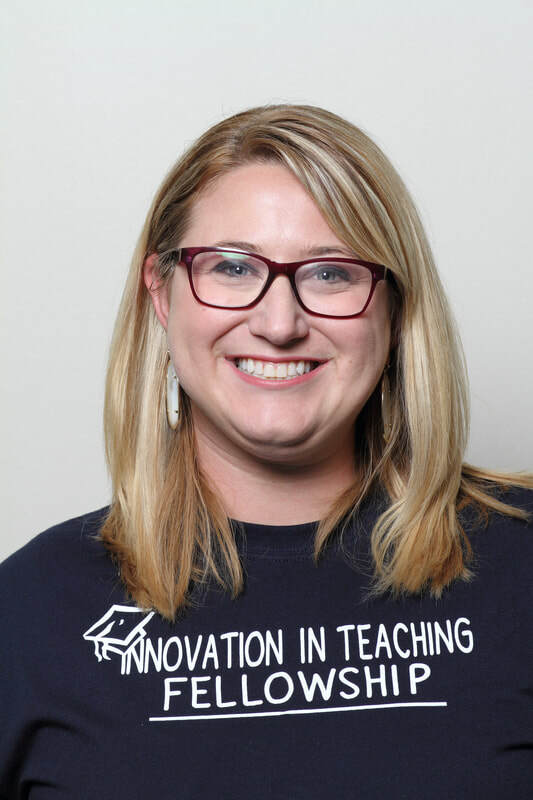 Her love of reading and her curiosity to expand her understanding of the theory behind pedagogy led her to earn her Master of Education in Curriculum and Instruction-Literacy Studies in 2017 from the University of Texas-Arlington. 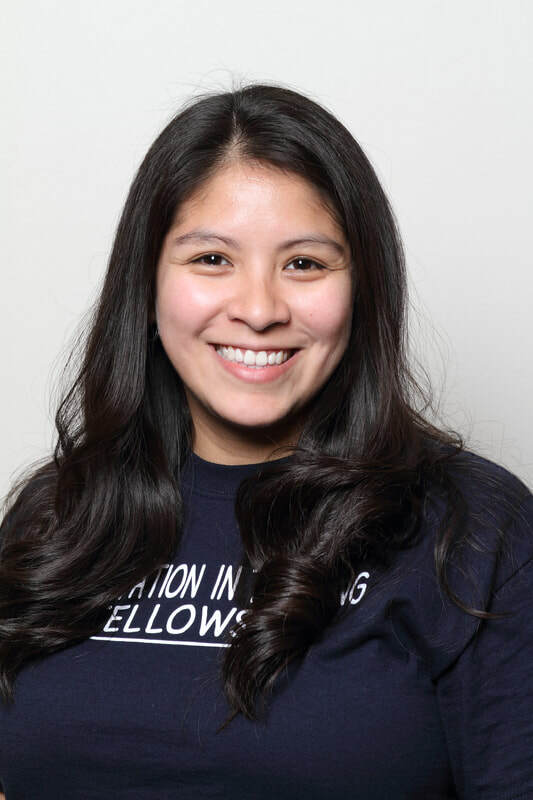 Estephanie is a current fourth grade teacher at Jose “Joe” May Elementary School for the Dallas Independent School District. Estephanie studied at the University of Colima (in Mexico), got her Bachelors in Language Education, then got recertified at the Dallas ISD Alternative Certification Program. She started her teaching career in Mexico where she worked with low income families as she taught them English. She then moved to Dallas and continued her teaching there, she has now been with Dallas ISD for 3 years and plans on staying here for a long time. So far her favorite grade to teach has been kindergarten. She hopes to one day become a math instructional coach. Vanessa, born in Dallas and a Dallas ISD alumni, began her career teaching 1st grade bilingual at Runyon Elementary in Pleasant Grove for four years. 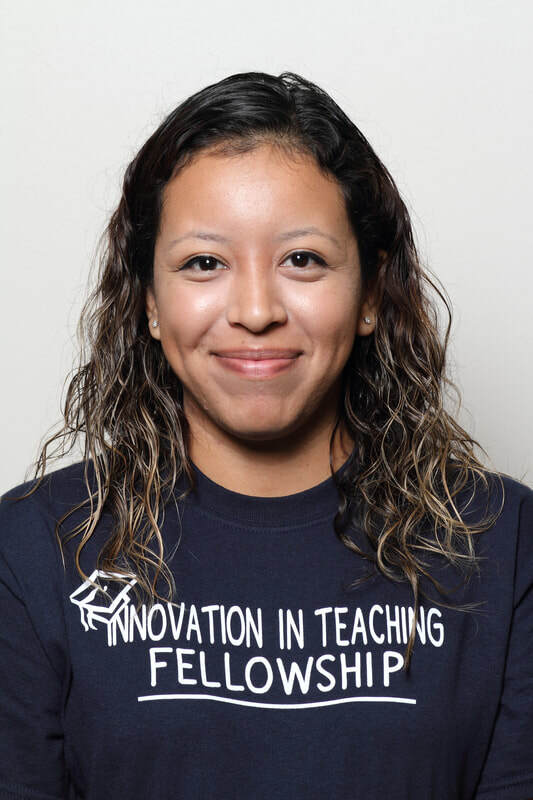 She also taught in Garland ISD as a 4th grade bilingual self-contained teacher at Watson Math Science and Technology Magnet Center where she learned a wealth of knowledge on student engagement using technology, STEM activities, and PBLs (Project Based Learning). Her passion drew her back to Dallas ISD to teach 4th grade bilingual at the elementary school she attended. Brooke earned her B.A. from Texas State University in San Marcos. She has been teaching for 5 years and this will be her 3rd year working at DeGolyer. She has been a part of the leadership team at her campus. Brooke believes that school is the place no matter your background or experiences that you can shine and succeed. She works hard to challenge her students and push them to be their very best. Carmen is currently a bilingual kindergarten teacher at Arturo Salazar Elementary. Her journey into education began 21 years ago when she was hired as paraprofessional at James Bowie Elementary. 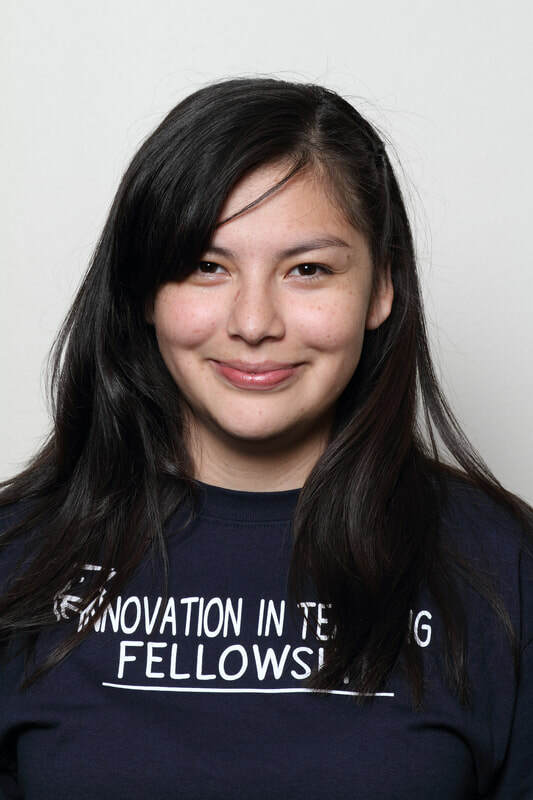 She became a candidate of the “Grow Your Own” program while working with Dallas ISD. In 2003, she earned her B.A. in Interdisciplinary Studies at the University of Texas at Arlington. Her “solo” career began in 2003-2004 school year at Peeler Elementary as a kindergarten teacher and was followed by 11 consecutive years in Prekindergarten. 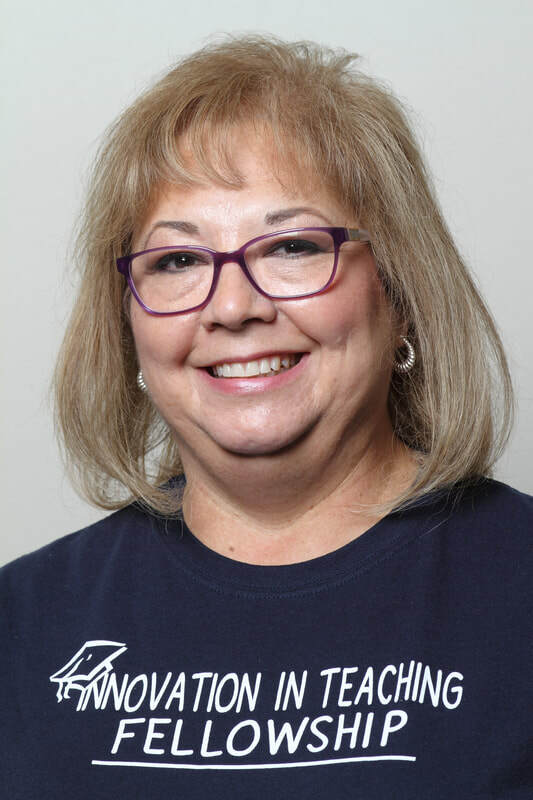 Throughout the years, Mrs. Sánchez has developed her leadership capacity through many roles such as LPAC chair, grade level lead, and the school leadership team. She has also mentored many student teachers and new teachers which she feels is one of the most rewarding aspects of her job because it allows her to share her passion and commitment with others. Shelby is a Kindergarten Reading and Social Studies teacher at Dan D. Rogers Elementary School. She earned an B.S in Social Work and received Alternative Certification for ACT Houston at Dallas. In 2016, Say began her career as an ESL teacher in a Personalized Learning Campus in Dallas County. 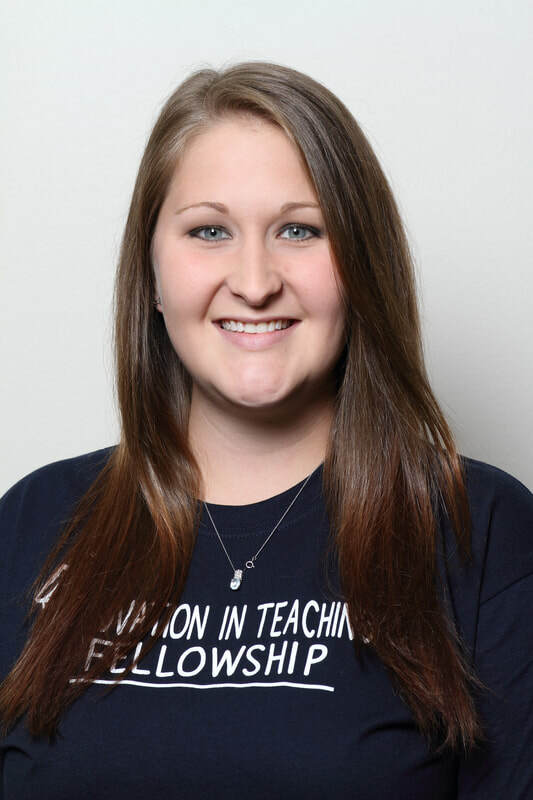 Currently in her first year of teaching, Shelby has been growing from the collaboration of her team and school. Maria just finished up her 10th year of teaching at Arturo Salazar Elementary as a fourth grade math teacher. 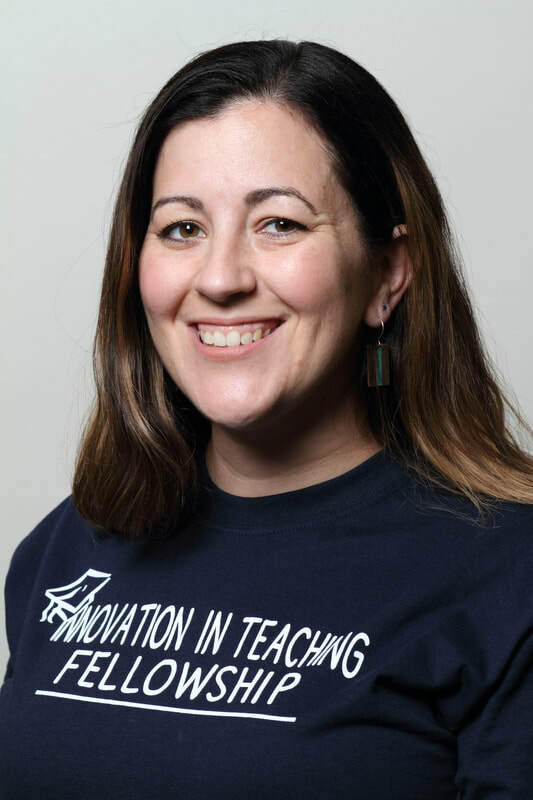 Beyond teaching fourth grade she has taught third grade science and social studies and sixth grade math, science and social studies. 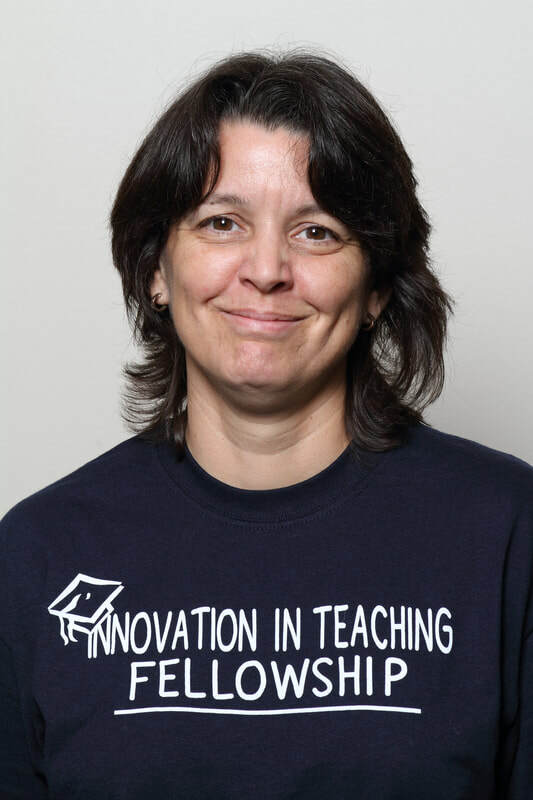 Maria has earned a Bachelor of Science in Interdisciplinary Studies from University of Texas at Arlington and a Master of Educational Leadership from Lamar University. Amanda earned her B.A. in psychology from the University of South Florida, later attending an alternative certification program at St. Petersburg College before moving to Texas. 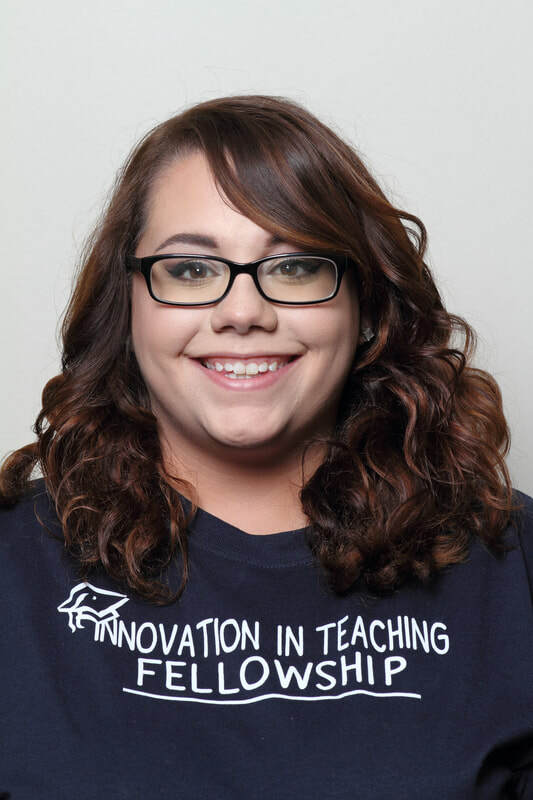 Amanda’s first year of teaching experience was through a Dallas ISD partnership which created a College and Career Readiness elective course in Dallas ISD high schools. Since that year, she has spent the last three years at Nathaniel Hawthorne Elementary. 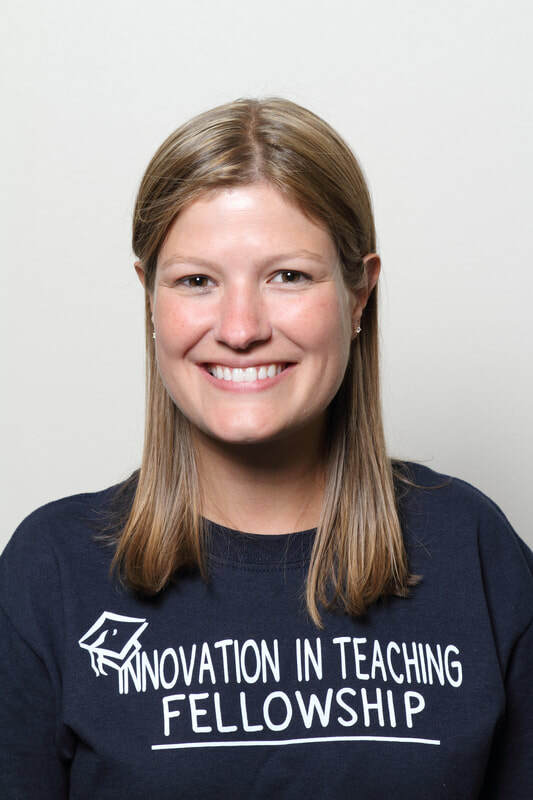 Amanda began her teaching career as a fifth grade math and social studies teacher. Since her second year, she has been a third grade teacher with a mix of subjects. Andie’s journey to teaching started in a high school teacher prep program. She originally pursued a degree in Fine Arts with the hope of becoming an elementary art teacher. 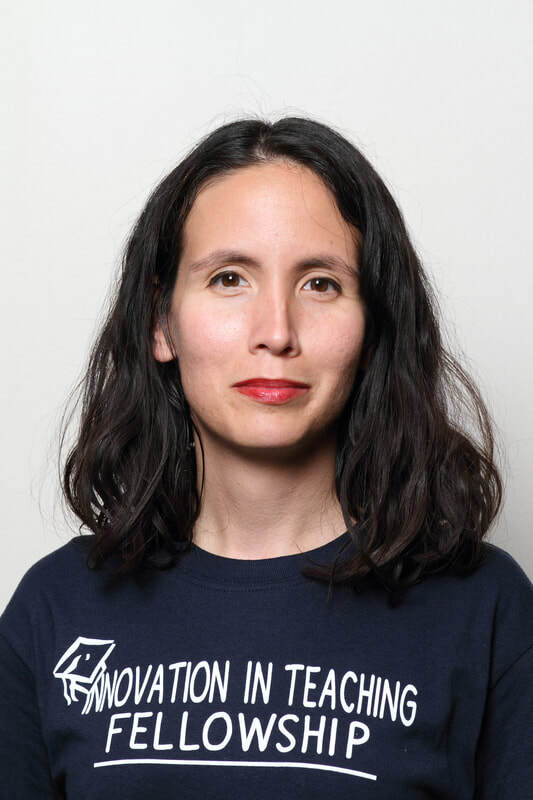 It wasn’t until she took a college course on Education Policy and Philosophy that she began to turn her attention towards a general education certification. She earned her B.A in Education from Dallas Baptist University, but still minored in Fine Arts, and has not given up the dream of perhaps finding herself in an art classroom wearing a paint splattered apron with clay under her fingernails one day. This upcoming year will be her fourth year teaching and she is very excited about working on the campus culture team, and becoming the second grade team leader. Monique is a native of Clarksville, TX. Her passion for helping others started at a young age which lead her into the field of Education. She earned a M.Ed. in Curriculum and Instruction from University of North Texas at Dallas and holds a B.A. in Interdisciplinary Studies from The University of Texas at Dallas. She is certified for generalist EC-4 and ESL. Monique has taught grades Pre-K- 2nd grade in Dallas ISD and is currently entering her 12th year in the district. Jasmine is a bilingual teacher and is in her 5th year of teaching: three years of Kindergarten, one year of Pre-K3, and this year in 3rd grade. Jasmine earned her B.A. in Accounting and MBA from the University of Texas at Arlington. She later received her Alternative Certification through the Dallas ISD Program. She has also served on the Language Proficiency Assessment Committee for her campus. Jasmine is excited to bring back new tools from the Fellowship to her classroom. Alexander earned a B.A. in History and a minor in Spanish from the University of Texas Pan American. 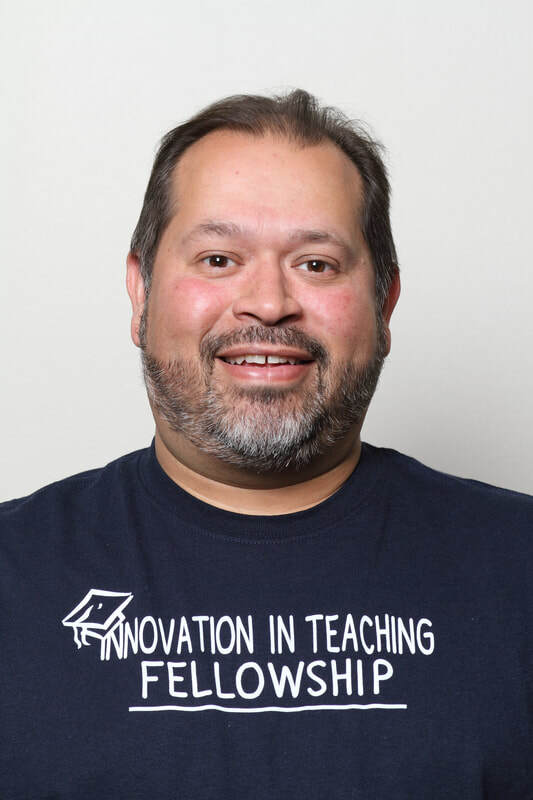 Alexander earned his teaching license in elementary education with a bilingual certification as well as a Social Studies Composite 8 - 12 certification. 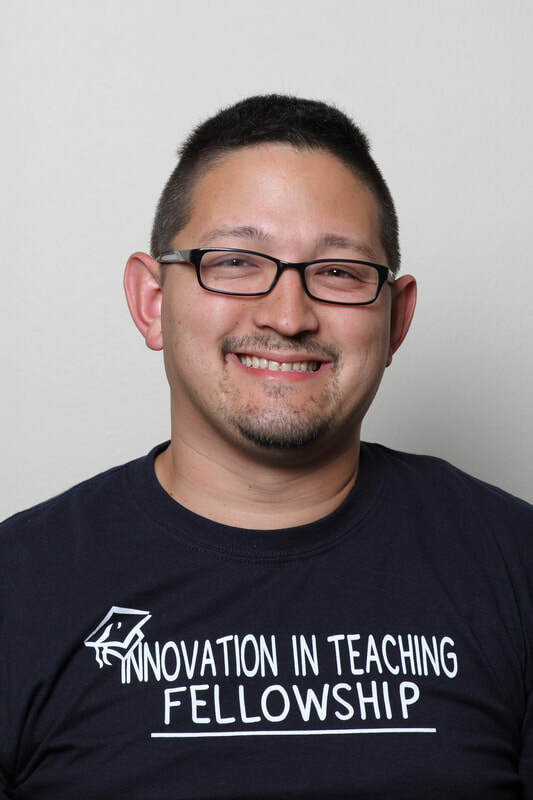 He started his teaching career at Umphrey Lee Elementary School in August of 2012, and is currently in his 5th year as a teacher. Antonio has been teaching for 9 years, and he has spent all of them at Hawthorne. 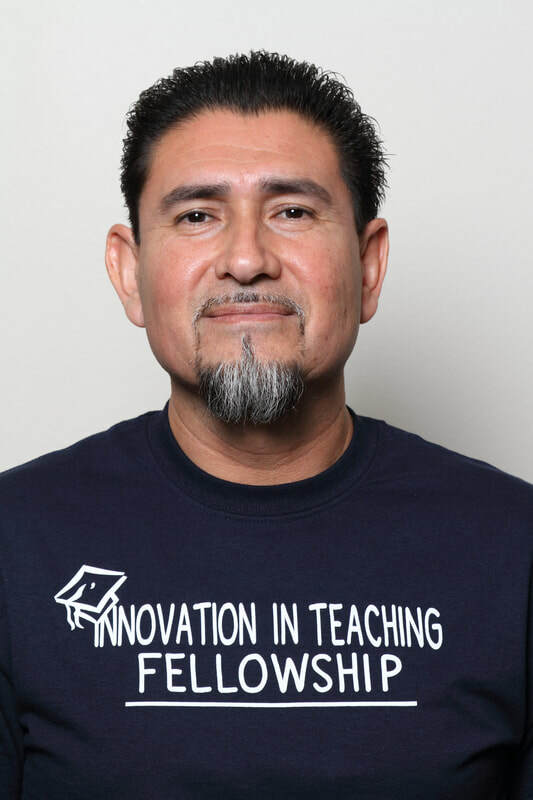 During this time, he has served as a Science Campus Coordinator, Soccer coach, and a Fifth Grade Bilingual Teacher. He was selected two years ago to participate in the Mickelson ExxonMobil Teachers Academy. He holds an M.D. from the Nuevo Leon State University in Mexico.